There is no way to gauge whether the Fed is going to be hawkish or dovish in this meeting, financial markets, Wall Street is quite divided in its views, which sets up a potential volatile event. As it turned out, the Fed is HAWKISH! All my trades was triggered! Not a bad FOMC outcome!!! I really did not know which way the market is going to move but there was enough buzz in the markeplace to generate sufficient volatility to do my straddle. All SLs at 30bps away. I decided to square the USDJPY 3 minutes after the announcement at 113.70 and the EURUSD 5 minutes later at 1.0690. Trading profit of the USDJPY was 0.53yen and EURUSD 30bps. Not too bad, was hoping for a bigger move, then again, we should be thankful for good and safe trading profits. 17 Nov @ The FOMC Minutes! Since the October FOMC rate decision did not come with a press conference, the entire financial markets was looking towards the minutes to garner an idea of what happened in the closed door meeting among the Fed governors and Yellen. There was a fair amount of noise in the media though, it seemed somewhat muted. As it turned out, the minutes lacked luster, rates did not move anywhere. 10 minutes after 3am, I decided to withdraw the three straddle trades. The carnage on the USD started last Thursday and the three currencies that battered the USD the most was the GBP, EUR and the AUD. The question is whether it was warranted or not, or was it simply a case of fund flows? Or did the market move against the USD because the BOE, ECB and RBA moved from an accommodating stance to a neutral stance? Is that enough to move the market so significantly? I do not believe so. Personally, I expected the other central banks to move to a neutral stance, given that the Federal Reserve has already begun cutting back QE by two tranches of $10Bn each from $85Bn to now $65Bn. 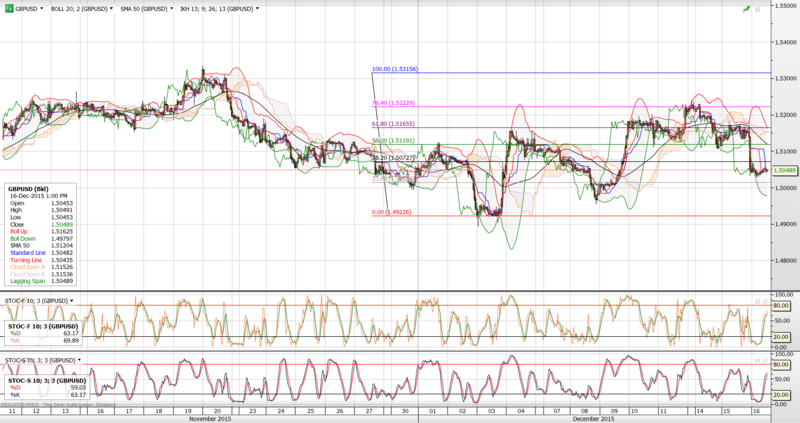 Is there an opportunity for the USD to take back some ground from the majors? Yes, I believe so, and it has started today with the GBP giving back about 60bps so far. I should have captured this opportunity since I felt so strongly about it. Unfortunately, I was taken away to focus on my private equity business in a company I invested that is involved in the tocotrienol business. Post Bernanke………..gunz blazing…………markets still haemorrhaging………..
Was the FOMC statement and thereafter the press conference by Bernanke………..staged?! Why was the FOMC statement so lethargic and uninspiring, and then, the monumental statement by Bernanke where he for the first time announced timelines for the tapering of the QE; beginning year end and into 2014 with full withdrawal by mid 2014. Wow………what an aggressive statement by the Fed Chairman when all previous times, he was skirting the issue. Of course, he tried to culture the statement by saying that it is all data dependent. Kind of like shooting someone first and then saying, let’s send him to the hospital so that he may or may not have a chance to live. What is interesting is that the Fed also decided to change their two loved targets of inflation and unemployment. Previously, the Fed had definitive targets of 2% for inflation and 6% unemployment rate before triggering tapering QE. Now, they have changed specific targets to range targets; inflation has changed to 1.4% to 2% and unemployment rate 6.5% to 7%. Let’s not forget that inflation is now at 1.1% and unemployment at 7.6%, so we are not so far from the range targets. Is the Federal Reserve orchestrating the imminent tapering of QE because they are now worried about the fact that liquidity is not sufficiently moving into the real economy but instead is fueling real estate, equities and bond markets. If the last three days was not a taste of the carnage to happen when the first installment of the cut in QE happens in October, we will definitely see widespread bloodshed at that time.